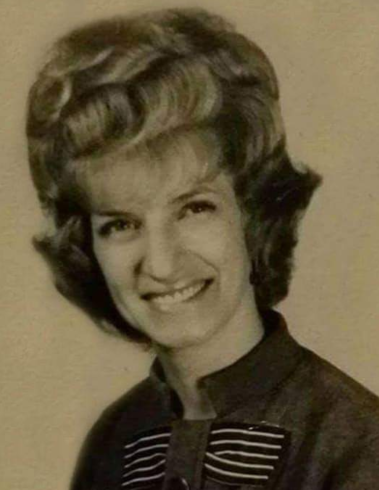 Obituary for Helen L. (Brown) McKinney | Knight-Confer Funeral Home, Inc.
Helen L. (Brown) McKinney, 83, of Williamsport died Wednesday, February 6, 2019 at her home surrounded by her family. Born June 19, 1935 in Lock Haven she was a daughter of the late Elmer and Aldean Brown. Helen was a graduate of Lock Haven High School. She worked at Stroehmann Bakeries on Washington Boulevard where she met the love of her life John McKinney whom she married on July 9, 1971. She then was employed by Bilo Markets on Park Ave. and Medicap Pharmacies as a Pharmacy Tech until her retirement. She enjoyed going to her children’s sports events and going out to dinner at some of her favorite restaurants. She especially loved going for Harley rides and eating teaberry ice cream. Surviving is her loving husband of 47 years John C. McKinney Sr., her children John C. McKinney Jr. (Stacy) of Williamsport, and Brandi McKinney of Williamsport, a step daughter Tammy Marchese (Jimmy) of Muncy, two grandchildren Tyler and Tristen McKinney, two great grandchildren Emmalyn and Ryker McKinney, a sister Betty Derr of FL., and her beloved dog Snowee. In addition to her parents she was preceded in death by her brother Elmer Brown. A viewing will be held from 6-8 p.m. Monday February 11 at Knight Confer Funeral Home 1914 Memorial Ave., Williamsport.